The most recent edition of the Crime Stoppers television program “Hawaiʻi Island’s Most Wanted” highlights a couple wanted for questioning in a theft investigation and two men wanted on bench warrants. The new episode begins airing Friday (August 1). 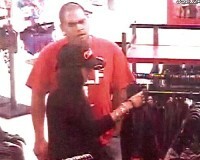 In it, police ask for help in locating a couple whose images were captured on surveillance video during a theft reported at a department store on Puainakō Street in Hilo on July 16th. The woman was wearing a distinctive scorpion-design bracelet. The pair left in a light-colored pickup truck. The television program also asks for help in locating a 46-year-old Pio Kapeli Jr., who is wanted on six warrants for contempt of court. He is also wanted for questioning in a theft investigation. He is described as 5-foot-10, 215 pounds with brown eyes, brown hair and numerous tattoos. He has no permanent address but frequents the Puna area. In this latest edition of “Hawaiʻi Island’s Most Wanted,” Officer Patrick Menino also asks for help in locating 29-year-old Bryce Dustin Feary of Hilo, who is wanted on two $50,000 bench warrants. He is described as 5-foot-11, 170 pounds with brown eyes and brown hair. His warrants are for violating probation in drug and burglary cases. Police ask that anyone with information about any of these persons to call the Police Department’s non-emergency line at 935-3311 or Crime Stoppers at 961-8300 in Hilo. All Crime Stoppers information is kept confidential. Crime Stoppers does not tape record phone calls or subscribe to caller ID. 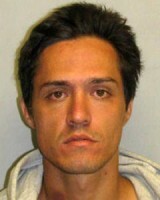 Hawaiʻi Island police have located 29-year-old Bryce D. Feary of Hilo, who was wanted on warrants. 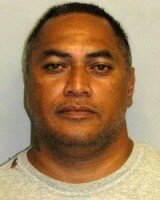 He was arrested in Hilo on Monday night (September 29) and charged with four counts of probation revocation. He was held without bail at the Hilo police cellblock pending his initial court appearance scheduled for Tuesday (September 30). 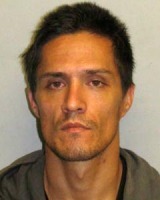 Feary has been featured on the cable television show “Hawaiʻi Island’s Most Wanted” since August.